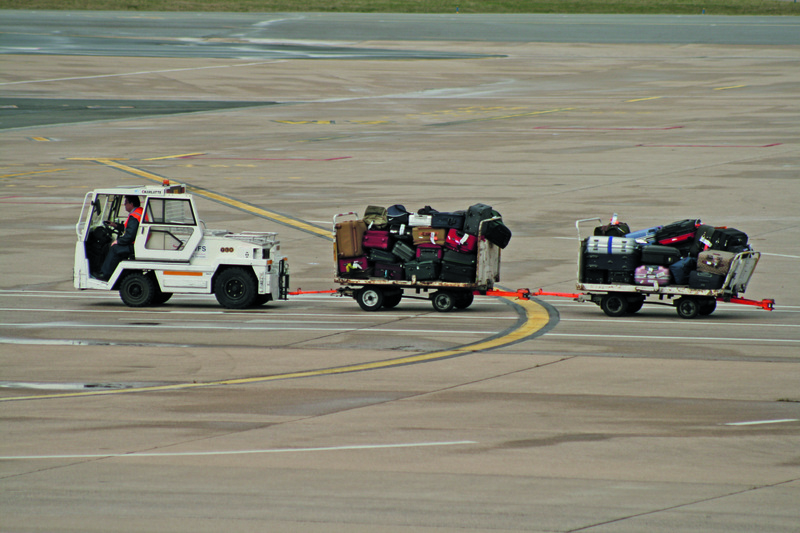 In this day and age, where time is money and fuel costs are sky high, it is more important than ever to provide luggage-weighing equipment that is dependable and able to withstand the heavy usage that comes with the territory. Everyday, millions of travelers will stop at your check in counter and hurl their luggage onto your scale. If that scale is not rated for shock and overload damage protection, there is no telling whether or not that scale is producing correct weights. With consumers becoming savvier than ever, you will want to provide up to date, rugged, easy to use luggage weighing equipment for your Airlines. Your reputation depends on it. So does your budget. If you are replacing a pre-existing scale, you will be happy to know that Arlyn Scales is a factory direct manufacturer. We manufacture our scales and subassemblies; so for a fraction of the cost of other manufacturer’s scales, we can provide custom sized platform scales suited to your pre-existing space. Our standard sizes are quite comprehensive but if it’s renovation that is on your agenda, it is good to know that you will be able to stay on budget with our custom platform scales. Durability is key when it comes to daily usage, especially the kind of usage Airline scales endure. Without the proper kinds of load cells and placement of these load cells, your check in counter’s scale will be in repair more often than not. Our knowledgeable engineers know what it takes to construct a scale that will endure all kinds of abuse. First and foremost is the choice of material that comprises the load cell. Should it be aluminum, beware. Aluminum is the choice of material used by most manufacturers when cutting costs is necessary. There are also nickel-plated steel load cells and, although they are more durable than their aluminum counterparts, they still can’t hold a candle to stainless steel load cells. We use stainless steel load cells for their durability and their corrosion resistant nature. The next point you will want to be sure of is where the load cells are placed. Typically, they are bolted to the underside of the scale’s platform. One would think that this would be a good option, but for environments where the scale will be constantly hit on its side, the bolting method will not provide the insurance necessary to protect the scale from shock and overload damage. Our stainless steel load cells are machine pocketed into the welded frame of our platform scales. This methodology insures that with the side hit impact that luggage scales are sure to be victims of, the accuracy component of our platform scale will never be at risk. They are pre-calibrated to NIST, National Institute of Standards Technology, which insures that these four advanced stainless steel load cells will not only hold up under pressure but also provide accurate and precise readings every single time. Due to the high impact and the nearly twenty-four seven usage the airline’s platform scales endure; we feel that aluminum platform scales are simply not resilient enough. For the most durable platform available, we advise the use of stainless steel. Stainless steel platforms are tough and resilient. They are moisture and rust resistant and are reliable in most weather conditions Ð which means that wet luggage will not have an impact on the scale’s performance. They perform consistently each and every time and in our estimation, there is no greater peace of mind than knowing you are providing the most precise weighing information possible for each and every customer. The other advantage of our 3200 Platform series is the very low profile. Measuring just one inch and seven eighths high, one can be assured of ease of use for customers and agents alike. Time is definitely of the essence and nobody understands this better than we do. We offer several options that will take the guesswork out of the equation. Our scale indicators are capable of communicating to your computer via USB, Ethernet or wireless Ethernet. With our protocol offerings, your agent can oversee the operations of up to ten scales. Our RS-232 interface allows for data to be transmitted to printers, programmable logic controllers or computers. With the inherent bi-directional interface, the scale’s indicator can send data and receive computer-generated commands. With the included software, customized outputs such as printed labels can be easily generated. If tethering up to ten scales to one computer is a necessity, this can be easily accomplished with our RS-485 option. Not only is this possible but the operational distance is lengthened to up to four thousand feet. For complete assurance of the information being relayed from the scale, we also offer USB Memory Stick Datalogging. With this option all weighing data can be captured along with time, data, group and item information. This invaluable data can be stored on a memory stick and removed for later use on a computer using Microsoft Excel. With computer savvy options such as these, operating and using a state of the art platform scale has never been easier nor more user friendly. Your agents will thank you for the complete dependability and reliability of these scales, as will your customers. We pay attention and we listen. Arlyn Scales 3200 series Platform Scale is our answer to weighing requirements of the airline industry. Manufactured in our own New York based warehouse, we are certain of our platform scale’s performance. Our commitment to provide scales that will give years of consistent and reliable weighing data geared for the heavy use in airports is exactly what is delivered with the out of the box, pre-calibrated, rugged Arlyn platform scale. With a Platform 3200 series scale at the helm, you are sure to pass the regular DCA, Department of Consumer Affairs, inspections. 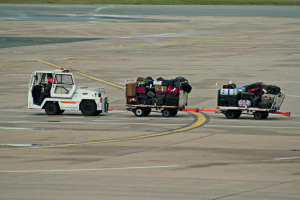 With our excellent resolution, your customers will be satisfied, knowing their luggage is in trustworthy hands. To learn more about airline-grade scales, contact us today. We offer discounts on bulk purchases. Use our online form on or call us at (800) 645-4301.